WASHINGTON, D.C. — Did a spokesperson for the Democratic Congressional Campaign Committee (DCCC) really contradict DCCC Chairman Ben Ray Lujan’s recent insistence that there would be no “abortion litmus test” for candidates seeking the committee’s support for 2018 U.S. House races? What else to make of this message to The Atlantic: “The DCCC has no interest in working with Democrats for Life of America, despite their attempts”? Well, which is it? A litmus test or not? Pro-life Democrats have been crucial for advancing progressive policies in legislatures across the country – on issues such as the environment, workers’ rights, racial justice, health care, and a fair and moral economy. Democrats For Life of America was the ONLY pro-life group that supported passage of the Affordable Care Act (ACA), legislation that would not have passed without the support of pro-life Democrats in Congress. Here are the facts – and we have no choice but to face them. The Democratic Party has been bleeding out. The number of Democrats holding office nationwide is at its lowest point since the 1920s. Alienating its pro-life voters, supporters, candidates, and officeholders is one reason why. In 1978, Democrats held a 292-seat majority in the U.S. House with 125 pro-life Democrats. Notice: As pro-life Democrats disappeared from Congress, so, too, did the Democratic Party’s majority. For the sake of our party and our country, let’s have a clear, unambiguous, and loud message, with no two ways about it: No abortion litmus test – the Democratic Party welcomes its pro-life supporters and candidates. Washington, D.C. – Pro-life Democratic leaders met with Democratic National Committee (DNC) Chair Tom Perez to request that the DNC set forth specific steps for inclusion of pro-life Democrats in the party. The meeting was requested by Democrats For Life of America (DFLA) after DNC Chair Perez made a strong statement that all Democrats should support abortion rights and that his stated position was not negotiable. National polls consistently show that one in three Democrats is pro-life. Polls also indicate that most Americans support a number of sensible pro-life policies, including a prohibition on taxpayer funding of abortion, regulations to make abortion safer for women, and bans on abortion after 20 weeks or after fetal viability. Democrats For Life of America was one of the few pro-life organizations that supported and continues to support the Affordable Care Act and health care for all. Pro-life Democratic legislators support virtually the entire Democratic Party legislative agenda, disagreeing only on issues of abortion and euthanasia. Pro-life Democratic Governor John Bel Edwards signed Medicaid expansion into law in Louisiana as one of his first acts after being sworn in. The Democratic National Committee is Listening! THE DEMOCRATIC NATIONAL COMMITTEE IS GETTING AN EARFUL AND LISTENING! The Perez-Mello controversy has brought forward the plight of pro-life Democrats and focused attention on the need for our party to Open The Big Tent—OTBT. We are in talks with the Democratic National Committee to open the big tent. We will keep you informed of our progress, but the most effective way is for you to donate your time, talent or treasure to help to get the word out about the importance of Democrats supporting ALL human rights. Can you write a letter to your editor or repost these articles on your Facebook page? Can you donate funds to support our work? Can you help support Democratic candidates for elected office who are pro-life? Please make a contribution today, and consider signing up for a monthly recurring donation to help us continue our work! And don't forget to join your local state chapter! The stakes have never been higher. Republicans are aiming to destroy the healthcare benefit—in the name of cutting taxes for the wealthiest. Democrats are needed on all these issues—but we need to keep the party from catering to people with the most extreme position on abortion just because they donate money. Kristen Day is a speaker! Will you consider a contribution today to our Conference Fund? 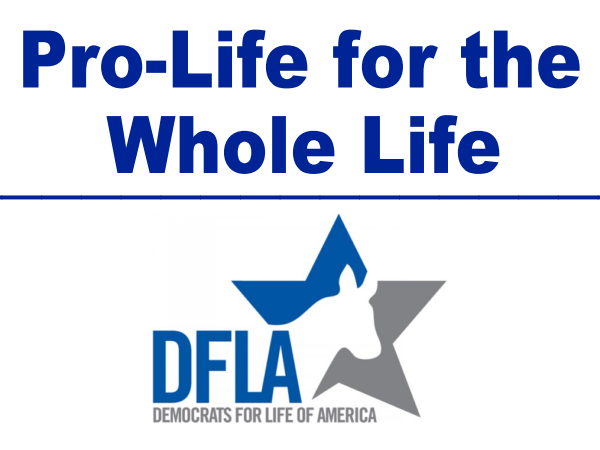 Every dollar counts toward making DFLA's presence known to both Pro-Lifers and Democrats. Please click here. Should Democrats embrace pro-life candidates? The Tylt has another poll about pro-life democrats. It is neck and neck with 9 days of voting left. Please vote and share! STATEMENT FROM KRISTEN DAY ON HEATH MELLO AND OMAHA MAYOR'S RACE. Heath Mello has lost the Omaha mayoral race. This loss, like the other recent Democratic losses, is not surprising considering the pressure applied by Planned Parenthood and the National Abortion Rights Action League. These losses reveal the motives of the "choice" movement and the priority pro-“choicers” place on their single issue over the good of the Democratic Party. Abortion-rights leaders got involved in the race and pressured a pro-life Democrat to make a confusing statement about being personally pro-life but vowing not to vote that way. That position turns away pro-life voters, who rightly question the integrity and authenticity of the candidate. You wouldn't say, "I believe that climate change is real, but I am not going to vote that way," or "I believe that there are too many deaths from guns, but I am not going to vote to reduce gun violence." It was a close election, and when every vote mattered, our party could not afford to make the election about abortion and alienate the Independents and Democrats who believe in the sanctity of life. The abortion-rights movement shouldn't have been involved in that race at all if they cared at all about the Democratic Party. Instead, the abortion-rights activists are successfully keeping their single issue first and the good of the Democratic Party second—and delivering Middle America into Republican hands. Please visit our website at www.democratsforlife.org. Donate to our cause by clicking HERE. DFLA STATE CHAPTER CONFERENCE IN PHILADELPHIA -- A SUCCESS! 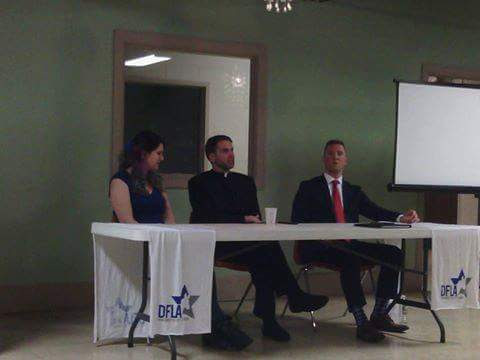 On April 1st and 2nd, Democrats For Life of America held its 2nd State Chapter Conference in Philadelphia, Pennsylvania, at the Penn Cardinal Newman Center. Seven panels were held, and a good contingent of Pro-Life Democrats from Pennsylvania and neighboring states were in attendance. The panelists were exceptional and encouraging. Democrats For Life is a Whole Life organization, and the first two panels talked about breaking the stereotypes of Pro-Lifers, including how our movement started as a liberal movement, and how the Pro-Life position is not solely tied to Republican Party politics. You can support both pregnant mother and child, and there are many different Pro-Life faces. You can be against the death penalty, abortion, and war. These positions are not mutually exclusive. One of the most encouraging panels was from Amy Grace Miller of the Philadelphia Pro-Life Union, who runs Guiding Star Home, and Amy Ford of the organization Embrace Grace. Both are working directly with pregnant women, who deserve respect and support – not shame and pressure to abort. Our very own Kristen Day spoke about legislative opportunities and challenges, and how the Pro-Life Movement can move forward at the federal level through legislation passed by Congress. On the same panel, DFLA Board Member Charlie Camosy talked about the best strategies for the Pro-Life Movement going forward, and he cited statistics indicating that despite popular belief, fewer than 1% of women who got abortions felt that their relationships with their partners improved, felt better about themselves, or felt more control in their lives. On the flip side, 62% of women who got abortions felt they were unable to forgive themselves, and 15% of women experienced post-traumatic stress disorder. Our Pro-Life Democratic state legislators shared how difficult it is to be a Pro-Life Democrat and how much pressure there is to change. One of the most important things we can do as Pro-Life Democrats is to support our local elected officials who are Pro-Life Democrats by sending them letters of thanks and encouragement, writing to them, and supporting them at town halls for their positions on supporting life. In case you missed them, streams of the panels are all available to rewatch on the Democrats for Life of America Facebook page. Pro-Life Democrats came prepared with many ideas for the conference, and how to move DFLA forward as an organization. We look forward to continue putting up the good fight in the Democratic Party for all human life! You may have noticed, from our upcoming events, that DFLA is going places. Our message will not be heard if we only share it in Washington, DC. We enjoyed holding our annual conference in New Orleans in 2016 and Philadelphia in 2017. The decision for 2018 will be up to you! We are opening up bids to our state chapters to convince us to hold our next conference in your state. Simply fill out the attached form and return it to us by May 15, 2017. If we choose you, we will partner to create the largest meeting of pro-life democrats to date! 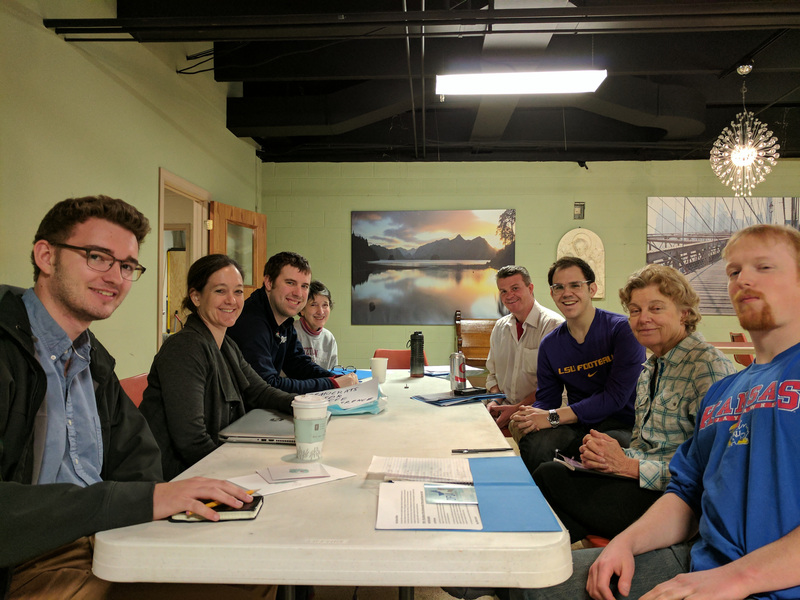 We have a lot to do and a lot to plan (see our list of upcoming events), so your additional support would be very much appreciated. Please consider making a contribution today or signing up for a monthly donation! Do you want the next DFLA Conference in your state? Do you have local support to help and assist? How big is your committee? Help us Reach the New DNC Party Chair! The Democratic Party is in crisis, and the time is ripe for us to impact the rebuilding of the devastation. There are several things we need to do, and we need your help. First, we must meet with the new party chair, Tom Perez, and the vice-chair, Congressman Keith Ellison. Neither one is talking about the strength of the Big Tent,and we must educate both of them on how pro-life Democrats are critical to winning. We have made the request to meet, and we will keep you up-to-date on their response. Second, we need your help to send a message. If you are giving money to the Democratic Party, please stop. No more pro-life Democratic money can go to help an organization that is currently working against us. Every time your party asks for money, please respond that you will start giving again when pro-life Democrats are welcome. Don't hesitate to donate directly to pro-life Democrats, as they need your help more than ever! Third, please make a contribution to Democrats For Life's Open the Big Tent initiative. Our Big Tent initiative is beginning to receive the attention of the media, who are asking the Democratic National Committee why they aren't welcoming the pro-life Democrats. Our Big Tent report at the DNC made an impact! We are in the process of updating it with the current data. Still, we are an under-fundedorganization facing a well-established and well-funded 189-year-old organization. So we need your support. If we are going to win, we need your help. If we win, we can win back the majority. If we win, we can pass paid leave for working families, save programs to assist people in need, and preserve the good parts of the Affordable Care Act and work to fix the parts that are not working. If we win, preborn children will receive the protection they deserve, and pregnant women will be supported. The time is now! There are common ground and common purpose to be found, and we can lead the effort with your help. Please make a contribution today! The State Chapter focus remains on building up the grassroots by getting in touch with people who want to get involved in various capacities. There is a lot of great enthusiasm for people to help out in a variety of ways in our existing chapters, as well as people who would like to help us get chapters started in states where we currently do not have them. We are also getting out the word about our State Chapter Conference being available through live stream so that people who are unable to come can participate. Many people have expressed interest in this, which will allow us to connect to people who live outside the Northeast and are unable to make it. We are also going to be in a panel discussion of Pro-Life Democrats next month at Catholic University.More information will be provided about this when it becomes finalized. FUNDING NEEDED! 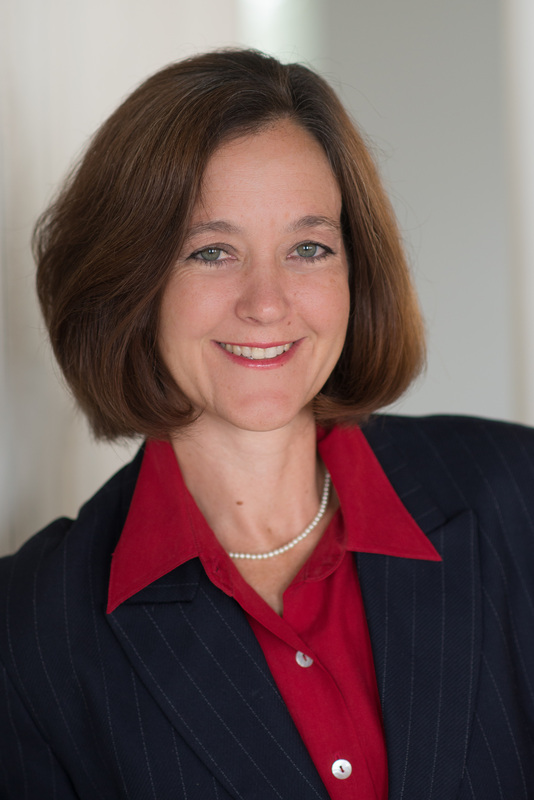 Kristen Day is a speaker!